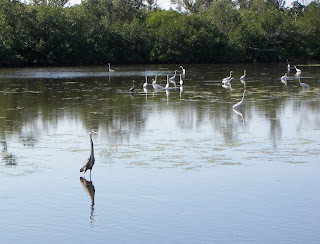 Bill and I returned to Sanibel and the Ding Darling Wildlife Refuge. We purchased one of the senior passes that is good for lifetime admission to any National Park in the U.S.. It's a great buy for only $10! Finally a perk for being old! 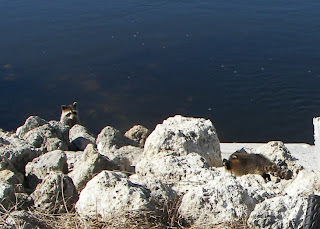 We spotted this family of raccoons at one of the outlooks. 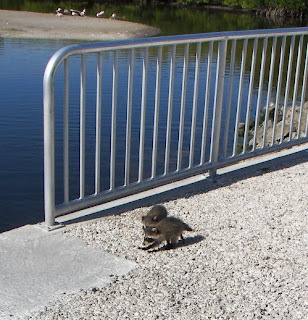 They walked right in front of us - first mom than her two babies. As you can see, mom waited for the kids before leading them off. Looking over one of the bridges we saw schools of fish - mullet and what we think is either alligator gare or needle fish. 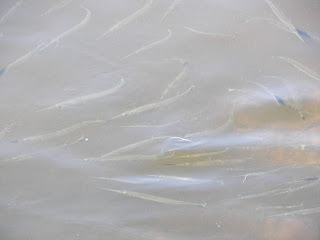 Mullet are really strange fish. 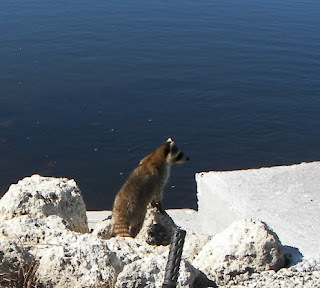 They keep jumping out of the water. 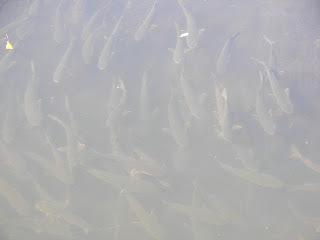 Scientist are not sure why but think they might either have paracites in their gills or are spooked by other fish. Maybe they just jump because they can! 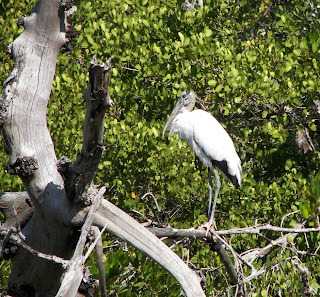 This wood stork caught my eye sitting in a tree. 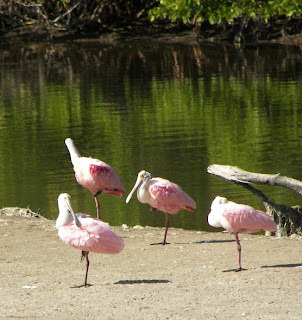 The roseate spoonbills are such beautiful birds! 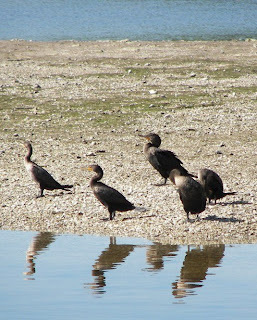 Today we spotted this flock of herons. Most were white but there were a few great blues. 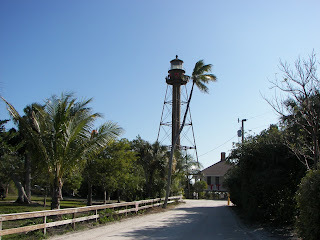 After we left Ding Darling, we went to see the historic Sanibel Lighthouse. It was decorated for Christmas with a huge wreath and big red ribbon bow. After coming home I made chocolate chip cookies (see recipe on 11/27 blog entry) for JK. He is due to arrive tonight around midnight. Bill & I drank lots of coffee to stay awake. Unfortunately, flights are delayed out of New York City so he may end up spending the night in Atlanta and I may end up watching the late show. Is Johnny Carson still on?